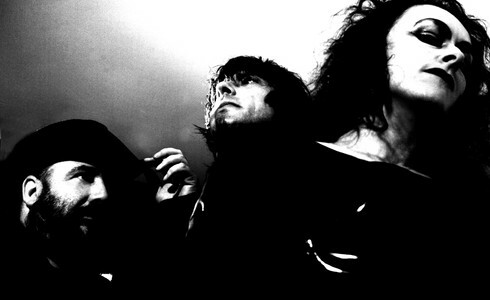 The March Violets, legendary pioneers of darkest post-punk rock, and partly responsible for kick-starting the goth movement in Leeds in the early 80s, have confirmed some rare appearances. They will be headlining the Felsenkeller stage at the 20th Wave Gotik Treffen in Leipzig on Friday June 10, playing Shadowplay Festival in Waregem on Friday July 22, and Headlining DV8 festival in York on Sunday July 24. They’ll also going back to their roots with a trio of little guerrilla punk warm-up dates before the festivals. Leeds Cockpit on Saturday June 4, Norwich Marquee on Monday June 6, and Glasgow Classic Grand on Saturday July 16. The tickets for all these warm-up gigs will be £15, and will also get you into an aftershow party, a badge and a Violets t-shirt in your size! Luxury Stranger will support at Norwich and Glasgow, Leeds guests to be confirmed. PLEASE NOTE: The Norwich gig is limited to 100 tickets. All tickets available from www.musicnonstop.co.uk at 13.00 on April 13.